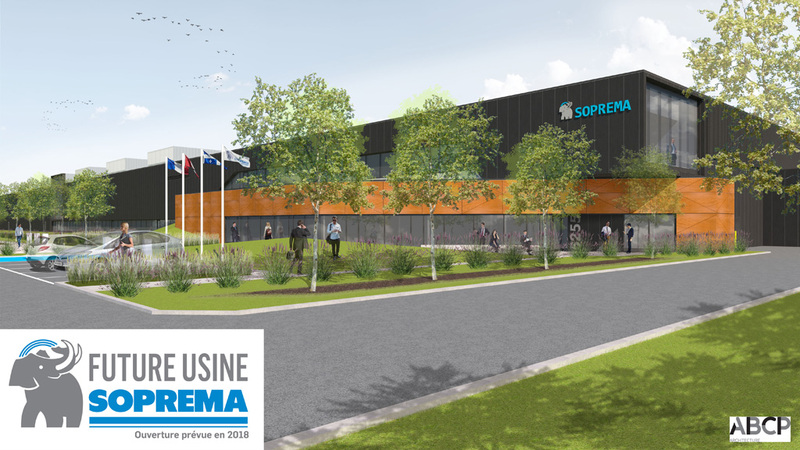 Sherbrooke, September 25, 2017 – Mr. Pierre-Étienne Bindschedler, President of SOPREMA and Mr. Richard Voyer, Vice-President and Chief Executive Officer unveiled the products that will be manufactured at the new SOPREMA plant in the Sherbrooke Regional Industrial Park, at a ceremony that marked the beginning of the construction work. Also in attendance were Mr. Luc Fortin, Minister of Culture and Communications and Minister in charge for the Estrie Region, on behalf of Dominique Anglade, Minister of the Economy, Science and Innovation and Minister in charge of the Digital Agenda, and Mr. Pierre Breton, Deputy of Shefford, on behalf of the honourable Navdeep Bains, Minister of Innovation, Science and Economic Development and Minister in charge of Canada Economic Development for the regions of Québec, and Bernard Sévigny, Mayor of the city of Sherbrooke. The new 178,000 sq. 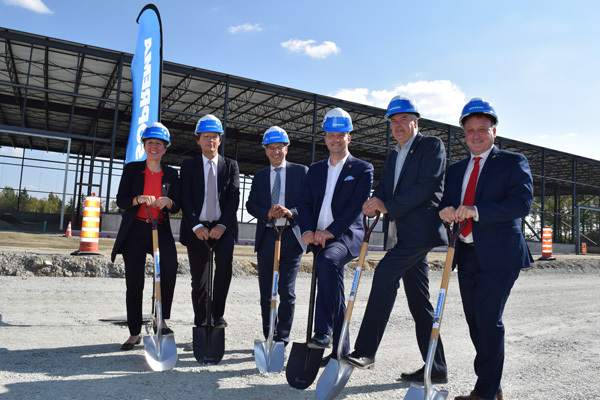 ft. facility will be the first SOPREMA extruded polystyrene insulation manufacturing plant in North America. Extruded polystyrene (XPS), is a closed-cell foam insulation made of rigid, flat panels. It is mainly used as thermal insulation for foundation systems, parking lots and reverse roofs, including roof tops and green roofs. The SOPREMA Group is familiar with extruded polystyrene since it already operates four industrial sites in Europe that are specialized in this technology. Over the past few years, SOPREMA Canada has sought to improve its product lines and extend its expertise to areas other than waterproofing, particularly by producing high-performance energy-saving, low-environmental impact insulation. With its polyisocyanurate manufacturing plant in Drummondville, the recent acquisition of Benolec, a cellulosic product manufacturer, and the construction of an extruded polystyrene plant in Sherbrooke, SOPREMA has demonstrated its willingness to offer a wide variety of insulation products that are suitable for any type of application. “SOPREMA is experiencing remarkable growth thanks to these initiatives to become a leader in insulation. We like to do things differently and it bears fruit!” said Richard Voyer, Vice President and Chief Executive Officer, SOPREMA North America. With this new plant, which will open in 2018 on Robert-Boyd Street, about 50 jobs will be created within the next three years.